Elaine Davidson, a Brazilian-born nurse, living in Edinborough, Scotland, has been recognized as 'The World's Most Pierced Woman' by the Guinness World Records. 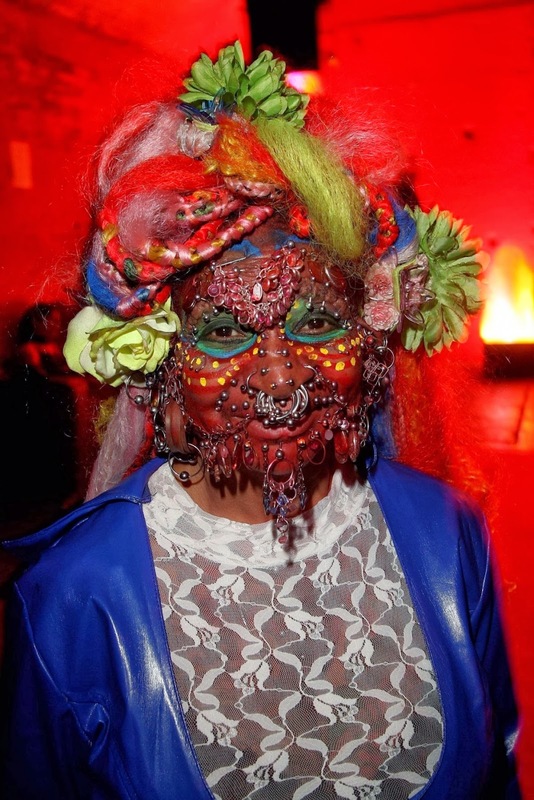 When examined by a Guinness World Record official in May 2000, Davidson had 462 piercings, with 192 in her face alone. By August 9, 2001 when she was re-examined she was found to have 720 piercings. Performing at the Edinburgh Festival in 2005, the Guardian reported that she now had 3,950 body piercings. She has more piercings in her genitalia than in any other part of the body - 500 in all, externally and internally. The total weight of her internal piercings is estimated to be about 3 kilograms. As of May 2008, Davidson's piercings total 5,920. As of Feb. 2009 her piercings total 6,005. In March 2010, Davidson reported a total of 6,725 piercings. As of February 2009 Elaine is the proud bearer of 6,005 pieces of metal. Despite her bizarre appearence, Elaine wants the public to know she doesn’t do drugs, drink alcohol or smoke cigarretes. Her only vice is Coca-Cola. On June 8, 2011, Davidson married Douglas Watson, a man with no piercings. The couple continue to reside in Edinborough where Davidson runs an aromatherapy shop.